Crafted by the famous ébéniste, François Linke, this beautiful, carved giltwood and marble table is as much a fine work of sculpture as a functional piece of design. 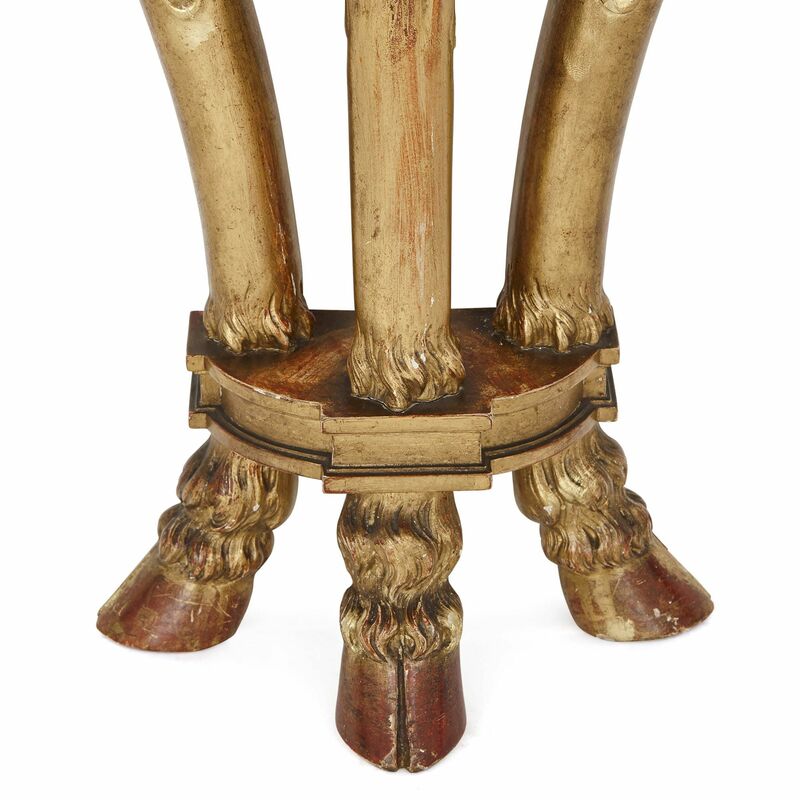 This fine console table stands on three giltwood, inward-curving legs, with hoof feet which are bound together by a stretcher. 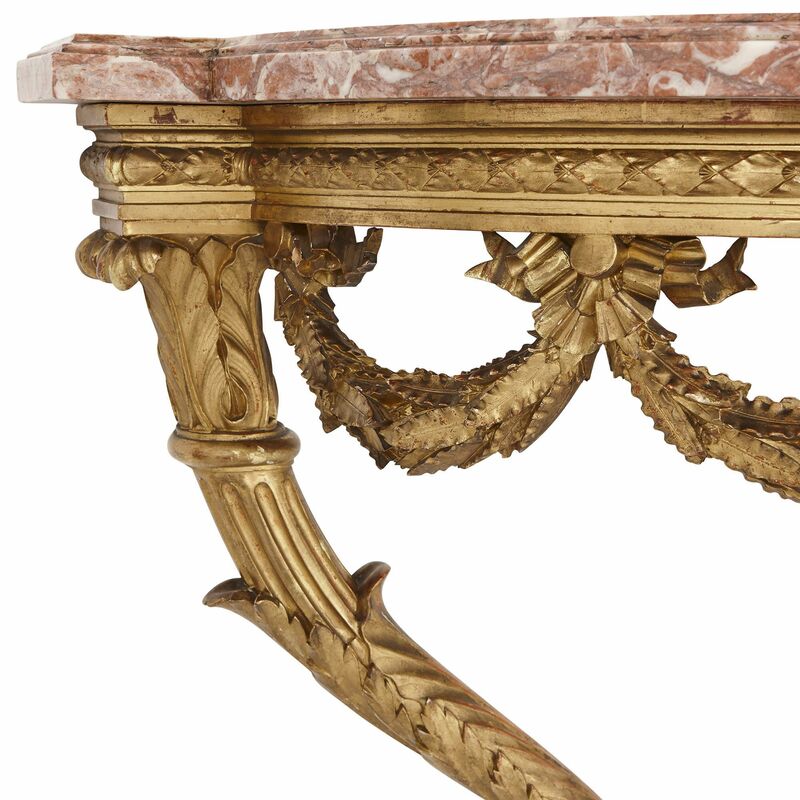 These legs have been intricately decorated with carved foliage and fluting. 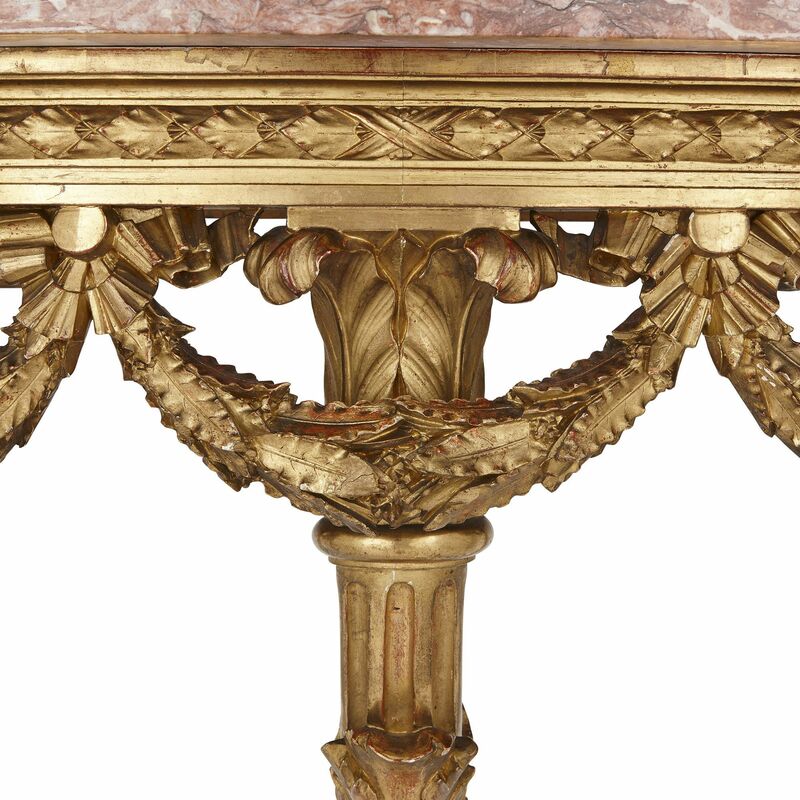 The foliate tops support a giltwood frieze, which has been carved with laurel leaves. Carved giltwood foliage swags, which are tied with crinkled ribbon bows, hang down from this frieze. 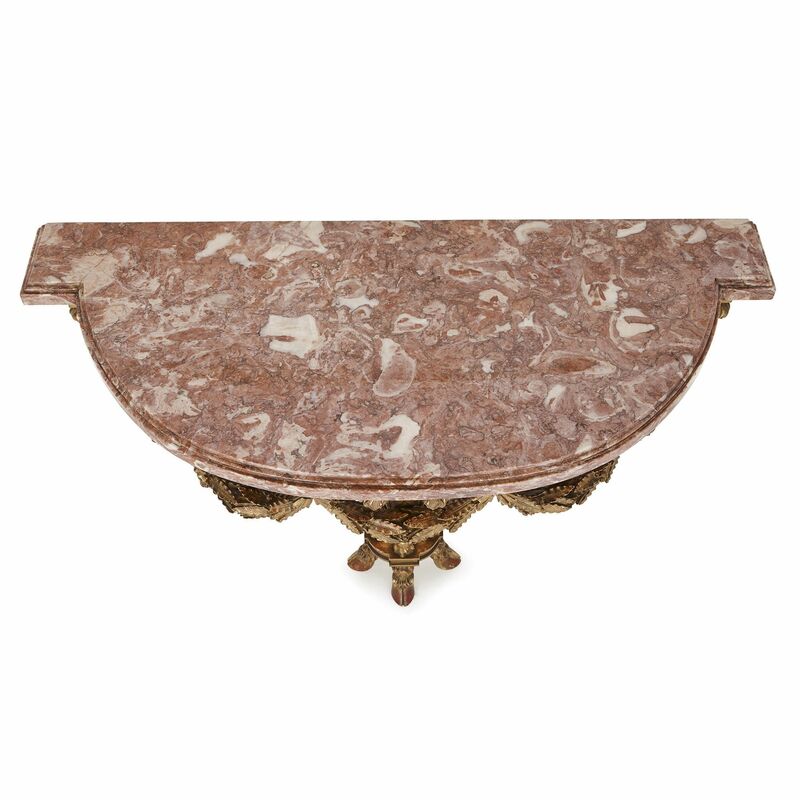 The table’s top is covered with veined pink marble. ‘F. 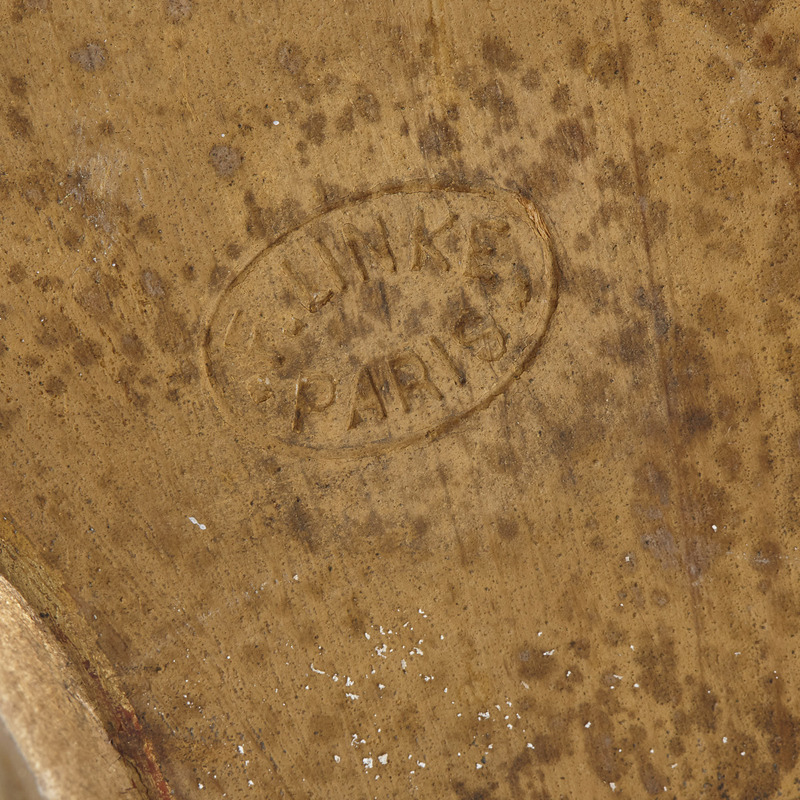 Linke A Paris’ is carved into the giltwood. François Linke was an award-winning cabinetmaker, who had a workshop in Paris in the 19th Century. 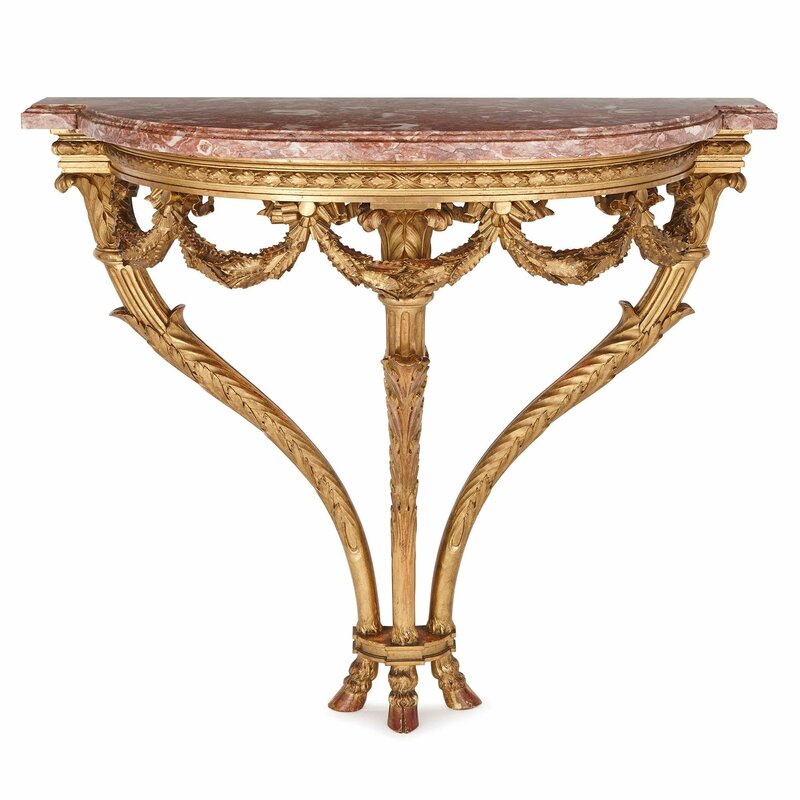 Linke produced high-quality pieces of furniture which often eclectically combined Louis XV and Louis XVI styles with modern modes, such as the Art Nouveau. This console table has been beautifully designed and executed by Linke. The quality of its finish and the attention to detail is exquisite.